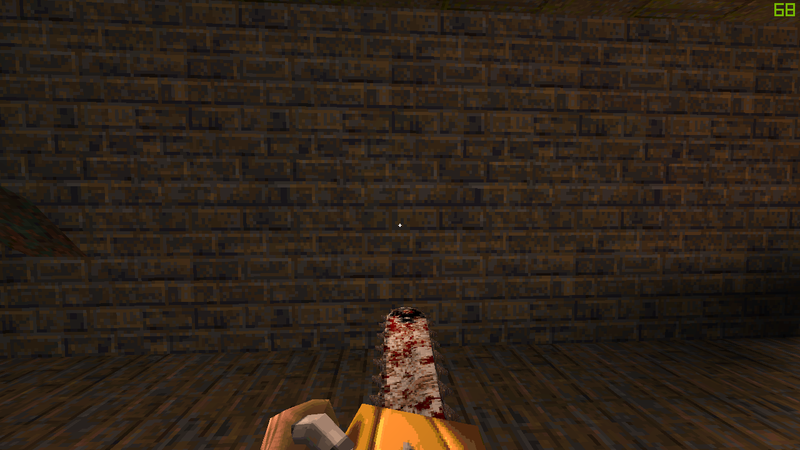 frag.machine wrote: Yeah the weird wall angles are unreal-y. 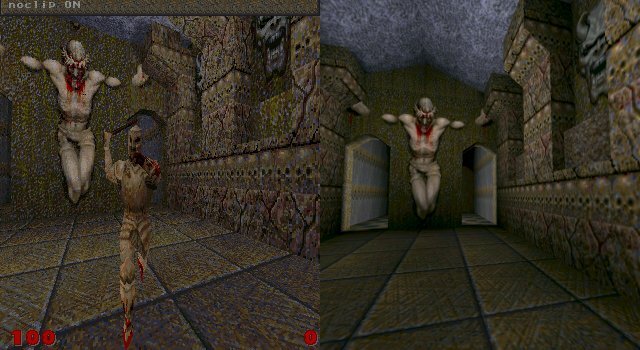 BTW I am replaying Unreal right now, and it is funny how it can look more advanced than Quake in some aspects (visual effects that would appear only with Quake 3 shaders) but also more primitive in others (the lack of detail in map geometry is jarring compared even with stock Quake first episode, let alone a modern map from say AD). The artwork quality is very uneven, some textures are very detailed but others look like a 7-yo work using MS Paint. Yeah, I'm working on trying to learn how to make more / better use of map geometry, and make the textures to fit with it. Unreal was beautiful at times, but you're right about the map geometry. I still need to find time to sit down and properly play AD. toneddu2000 wrote: @Dr. Shadowborg: I like wall and grid textures, floor it's also ok. I'd make more detail on pillars and remake from scratch the doors (they seem made of wood instead of metal). Lights are cool imo. Thanks for the offer, but 2048x2048 is kinda too big to properly scale down to 16x16 - 512x512 size ranges. Dr. Shadowborg wrote: Thanks for the offer, but 2048x2048 is kinda too big to properly scale down to 16x16 - 512x512 size ranges. When I said "maybe they could be used as placeholder or layout" I meant that you could use it as template for your texture or using a small portion as base (and then make it tileable with the offset filter) and then draw your details on top of it. Source resolution has nothing to do with output resolution. The more the better. Initially they were 4096x406 but Github has a 100mb limit per file so I had to shrinken them. I must say that the industrial part (which, as Julius asked, is the whole projectUnknown texture material) was done pretty good and if you take a look at all the floorempty* textures you'll see what I mean for "metal base"
I don't know about "some people", but I'm totally interested about it! I can't wait, I always loved your works! What else should I say Barnes? Awesome effect! Converting the Q1Test for singleplayer port and original monsters. Some screenies in attempt to remap the old screenshots with lightning.